He was a hot rod artist, motorcycle mechanic, knifemaker, 60s beatnik, metal fabricator, gunsmith and hermit. He showed professional level artistry by the age of 10. He lived in a bus. He is still one of the most eclectic figures in pop culture history. Von Dutch: The Art, The Myth, The Legend explores the life and influences of Kenny Howard, aka J.L. Bachs, Joe Lunch Box, Dutch and, most famously, Von Dutch, the man recorded as the godfather of pinstriping. 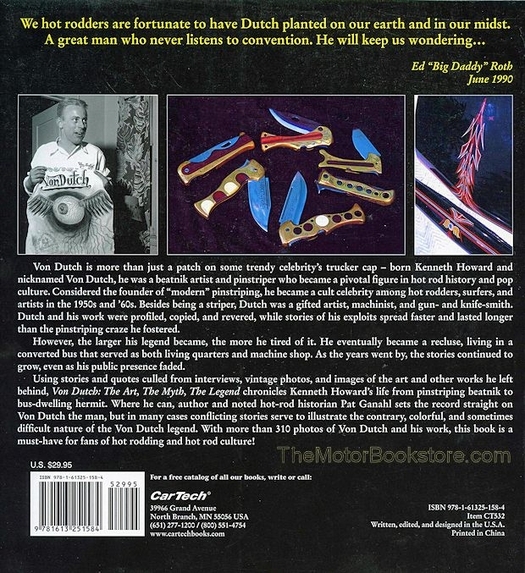 This book pulls it all together: his mysterious early life, the appearances of his work in leading publications, the hot rod artist�s work in television and being the father of Kustom Kulture, a descriptive for a community that embraces vehicles, hairstyles, fashion and artwork inspired by motorcycles and custom cars. Pinstriping is the application of a thin line of paint to accent the car or motorcycle body. It sounds simplistic enough, but Von Dutch turned it into a science. Many racers and car owners that wanted personalized vehicles referred to pinstriping as being �Dutched.� Today, a lot of this work is done with technology like air brushing and stencils. It can be hard to believe the hot rod artist worked by hand. In fact, after a group couldn�t believe what they were saw, Von Dutch proved his skill by pinstriping another machine in front of their disbelieving eyes. Von Dutch�s avoidance of the limelight made him difficult to pin down. 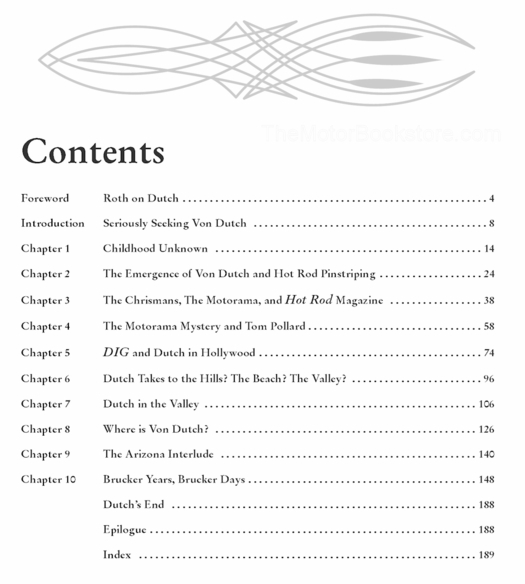 Von Dutch: The Art, The Myth, The Legend doesn�t avoid that. It uses the contradictory stories to paint a picture of a colorful character that raised two daughters, played music and explored more facets of life as art than imaginable. 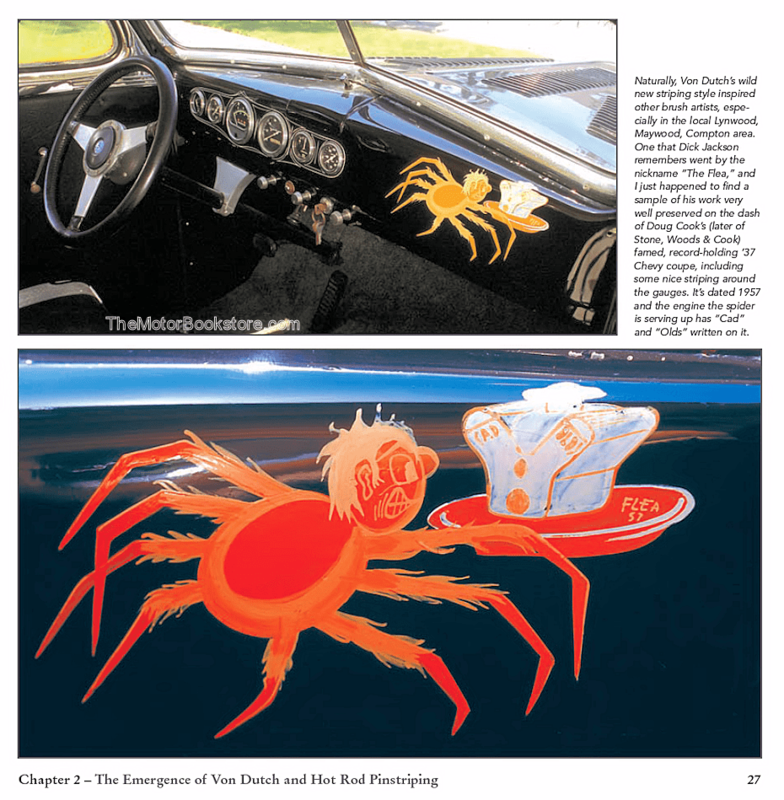 Through first person accounts, a litany of vintage photographs and images of his art (like the infamous Flying Eye), the book demonstrates why Von Dutch�s legacy still inspires long after he walked away from it. 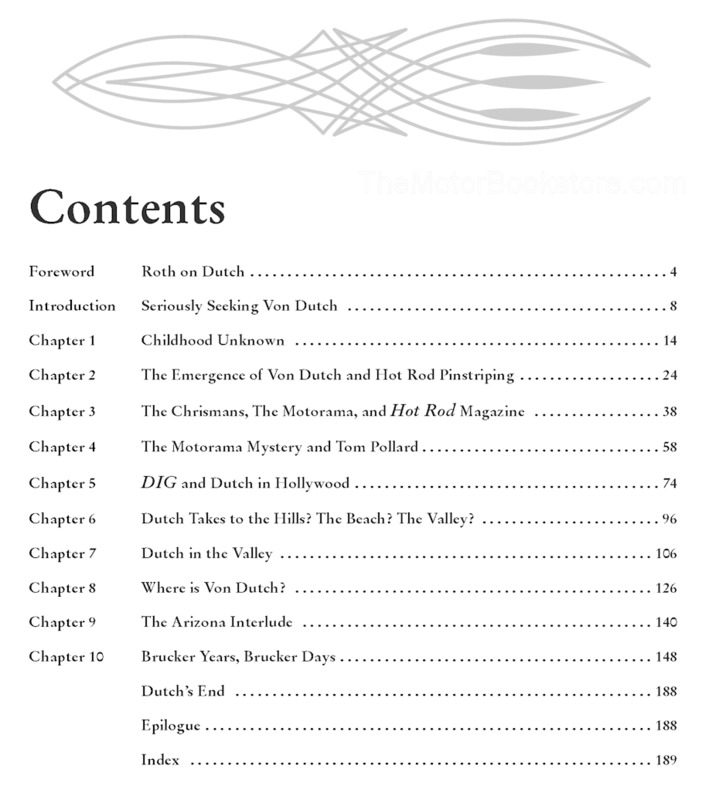 If you�re a fan of the Dutch, art, hod rodding or the culture, you�ll love reading Von Dutch: The Art, The Myth, The Legend. 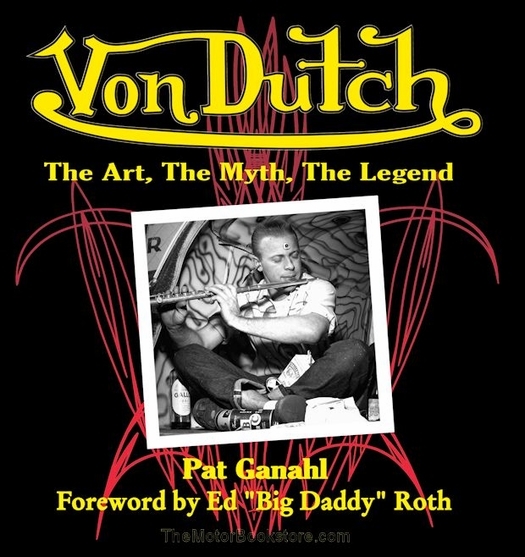 Below: Von Dutch The Art, The Myth, The Legend by Pat Ganahl Sample Page. Copyright CarTech Books. Ask a question about Von Dutch The Art, The Myth, The Legend.